The topics covered in this category include different aspects that Trainers will need to master to be successful in raising productive and skillful Dragons. Properly raising Dragons is important to building successful battle Dragons. The first step is obtaining Dragons. This can be done by breeding, purchasing or winning Dragon eggs and then sending them to the Hatchery. Once hatched, Dragons should be fed regularly to become stronger and reach higher levels. Each level gained will greatly increase the Dragons base stats. 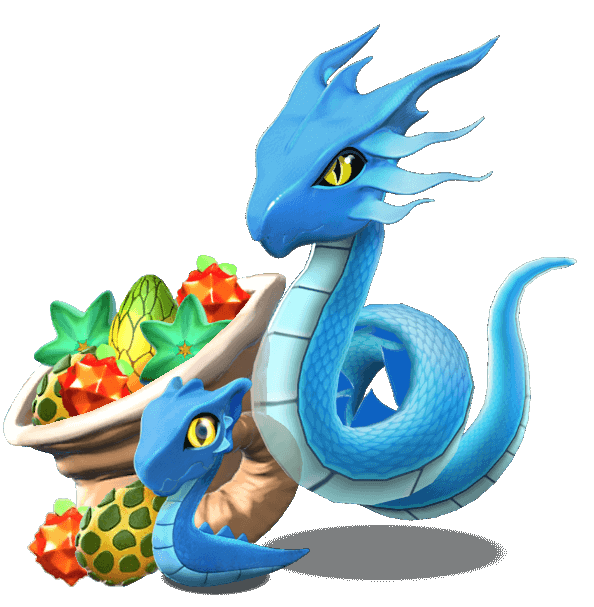 Petting Dragons every two hours will help build up the gold reserves needed to grow Food for them. Dragons that have reached Level 4 can be trained as the champion before entering into a battle and unlocking the Dragon Academy will allow Dragons to learn more about using their Elements more efficiently to defeat opponents. Pages in category "Dragon Raising"
This page was last edited on 7 December 2018, at 10:27.